The IB program is a 2-year commitment. 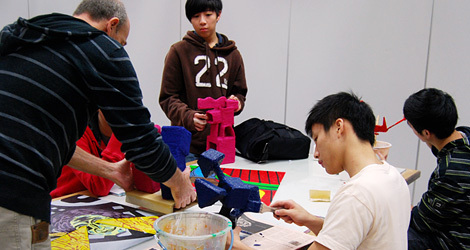 Students enrolled in this course begin in the junior year with an in-depth exploration of tools, materials, and ideas. Students are introduced to using aspects of the Adobe Creative Suite and the computer as an artistic tool used to create sophisticated imagery that goes beyond the simple application filters and effects. Students maintain an investigation workbook that demonstrates cultural understanding, creative problem solving skills, ideation development and reflects their artistic successes and failures. the basis of a cohesive body of work. Students are expected to be able to create a series of related works rather than “one off” artworks. 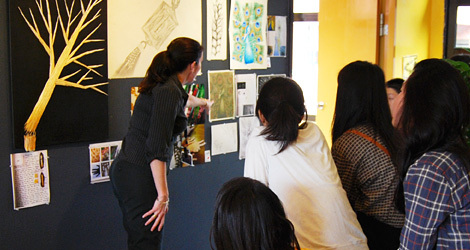 In the second year, students connect the ideas explored in the investigation workbook to the artwork created in the studio with a critical eye as to the cohesive nature of the idea. Students identify where they have successfully integrated cultural attributes. The IB program requires endurance, a strong commitment to growth and continual self-improvement, critical awareness, and an eagerness to connect images and ideas. Student work is assessed as to whether it reflects college level thinking in terms of its use of composition, cohesion, the use of class-time, craftsmanship and creative solutions. Students explore ideas and record their reflections while maintaining a blog.